Acesse specializes in web and mobile platforms. 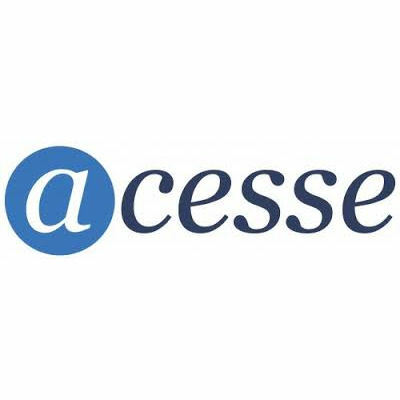 Acesse gives small businesses effective, affordable ways to reach new customers through targeted online ad campaigns, website and mobile site builders, domain registration and hosting packages. Acesse brands include Appmart.com, Shop.pro, GameSmart and VideoMeet. Acesse Mobile is a site builder designed for the non-techie that wants an easy way to create an appealing mobile site in a matter of minutes. Upload any URL into Acesse Mobile's site builder and all content is collected for a flawless transition into a mobile site. The site builder includes powerful widgets such as photo galleries, videos, social media profiles, customizable contact or feedback forms, and more. VideoMeet is a feature-rich video communications solution built to suit a variety of video marketing and conferencing needs. Send meeting invites, share documents, stay in touch with clients and friends with personal video emails and launch video-enriched email marketing campaigns. Create campaigns containing sets of video emails you can send to contacts over a period of time, appending up to 5 videos to play as one. Quickly monitor how many campaigns you have currently set up, name your campaigns, assign designated email groups and campaign frequency, and include streamlined email copy. WebCast by Acesse provides you with fast and easy access to the award-winning Acesse conferencing system. With WebCast you can hold high-quality audio and video conferences with your participants. Grant attendees access to microphones, webcams, even chat with your guests through a built-in text chatting system. Record a session for recordkeeping or for publishing later to a wider audience.